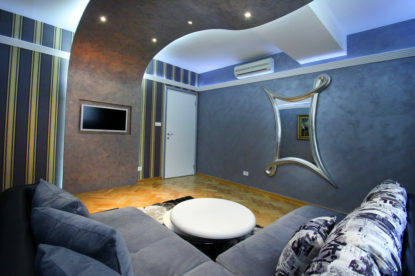 Located in Pajsijeva Street, which connects the street of Queen Natalia and Balkanska, Lux studio belongs to a new building which houses several of our studios. 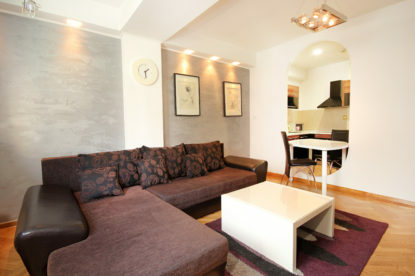 What makes Lux studio very pleasant and convenient is one double bed and extremely comfortable living room, which is connected to kitchen and dining room. The ambience is very likeable due to the suspended ceiling and comfortable seating, as well to amenities that will contribute to feel very comfortable and at ease. 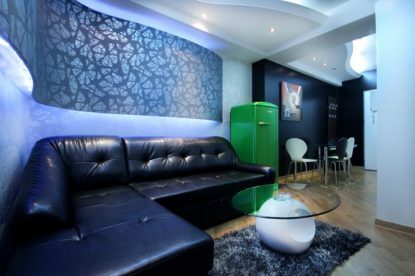 Lux studio is located in the city center, near all of what Belgrade has to offer, such as restaurants, bars, shops, cinemas and theaters, as well as other sights. 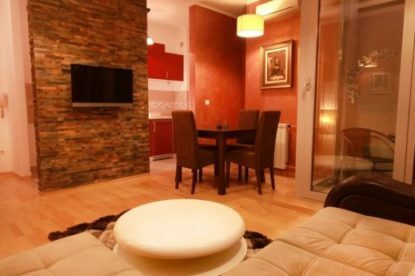 It is an ideal starting location for sightseeing, with great benefit of the proximity of the railway and bus stations, as well as proximity to the route that leads through Branko’s Bridge to the New Belgrade. If you are coming with a car, there is also the possibility of parking spot in the underground garage.